Wanted: a cookbook recommendation or two. Ideas? Here’s why: Because there are so many ideas, tips and tricks-of-the-trade in it. Because the recipes are interesting, colorful and quick to prepare (don’t believe me? take another look at that photo up top, and click on this link). 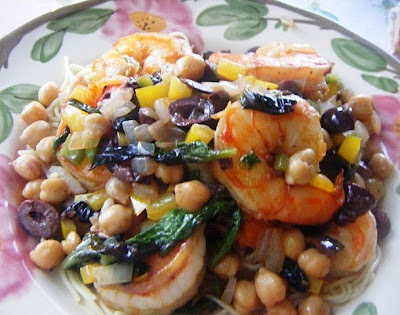 I’m convinced that a “decent home cook” like Odessa won’t find the recipes “challenging,” but the Splendid Table-gals do challenge you to mix-it-up flavor-wise with their deliciously uncomplicated recipes. Here’s why: Because braising brings out the best in everything. And because Molly dishes the details the way your best cook-pal would — if you called her mid-recipe and yelled “Help!” Every recipe I’ve made out of this book, from her “Cauliflower, Potatoes and Peas Indian-Style” to the coq au vin, to the short ribs braised in porter with maple-rosemary glaze to her zinfandel pot roast, made me shout, “Oh, my God! I can’t believe I made this myself: it’s the best [fill-in-the-blank] I’ve ever tasted! Here’s why: Because the Zuni Cafe is my must-stop restaurant when I’m in San Francisco and Judy’s roast chicken with bread salad-recipe alone makes it worth owning this book. Because this beautifully written and handsomely photographed tome makes you feel as if you’re right there in the kitchen with the author, taking a master class, and because her well-established techniques are shared with abandon. Here’s why: Because its chapters are laid out in menu-format, with suggested wine-pairings. Because it’s got some of my most cherished and oft-replicated recipes in it, including cornmeal rosemary cake with lemon glaze (from “Pop Pop’s Winter Solstice”), sticky-finger ribs and five-spice roast chicken (both from “A Chinese Feast”), and because it’s homegrown (“Pike Place Market Menu”). I also owned a well-stained copy of Tom Douglas’ Seattle Kitchen, in which the chef gives away his restaurant-recipe secrets including his famous triple coconut cream pie. If you buy it, turn straight to page 72 and prepare the clam linguine with pancetta, chiles and garlic. 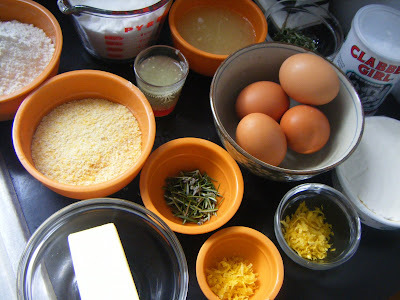 This is my prep for cornmeal rosemary cake with lemon glaze, from page 180 in Tom’s Big Dinners. I shared that recipe (perfect for Easter) right here. Here’s why: Because even if you don’t have room (or time) for a garden, you can grow some herbs, and because this book explains how. 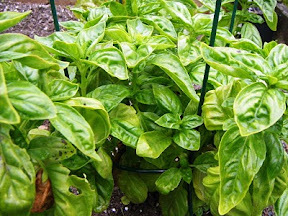 Those herbs infuse every carefully-crafted recipe local chef/gardener Jerry Traunfeld suggests, including (as you’ve asked for) a goodly section of pasta, meats, poultry, veggies and soups, each proudly humming with Northwest flavors. The book’s a bit shy on photos, but I’ve got a few. 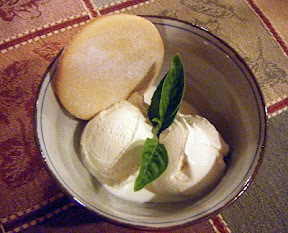 I love the cinnamon-basil ice cream recipe from The Herbfarm Cookbook (page 256), shared on this summertime post.